Place all ingredients except coconut oil and bean paste in a blender. Blend until slightly smooth. Add coconut oil and bean paste and pulse until nicely combined. Grease a medium hot skillet with keto oil and spoon batter to make pancakes. A big serving spoon will give you about 14-18 pancakes or more batter gives you bigger but less pancakes. Flip when bubbles form and cook like you would pancakes. Divide number of pancakes in two. 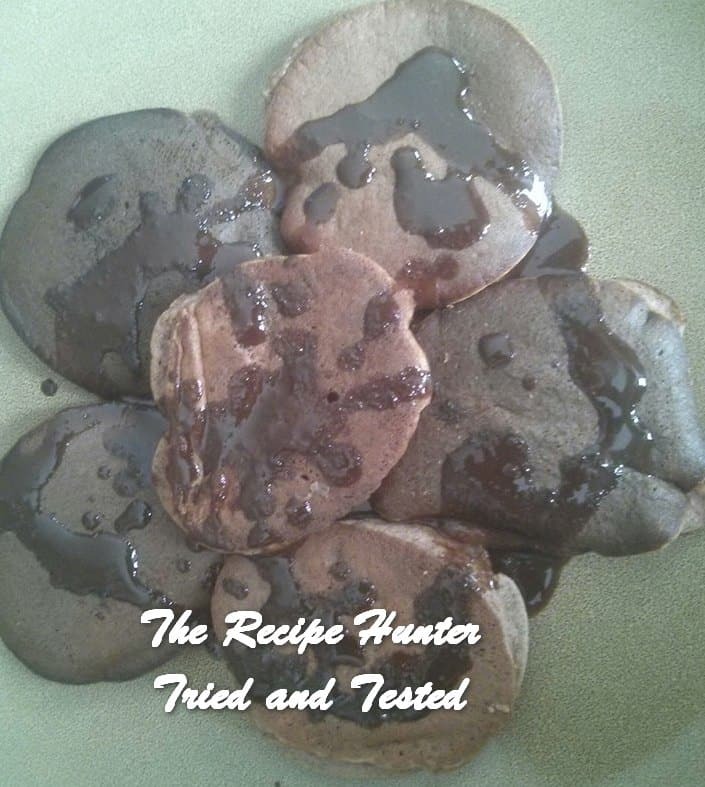 Serve with keto chocolate sauce below. 1/3 cup keto sweeter (swerve/xylitol) I prefer coconut palm sugar, not 100% keto but I don’t like xylitol. Add all ingredients except vanilla bean paste to double boiler. Melt over low heat until chocolate etc melts and combines and stir continuously. When heated add vanilla bean and stir to combine. Use warm or let cool and store in fridge for a few day in an airtight container. Note due to the added sweetness it’s not advised if you are new to keto dieting as it hampers getting over your craving for sugar!